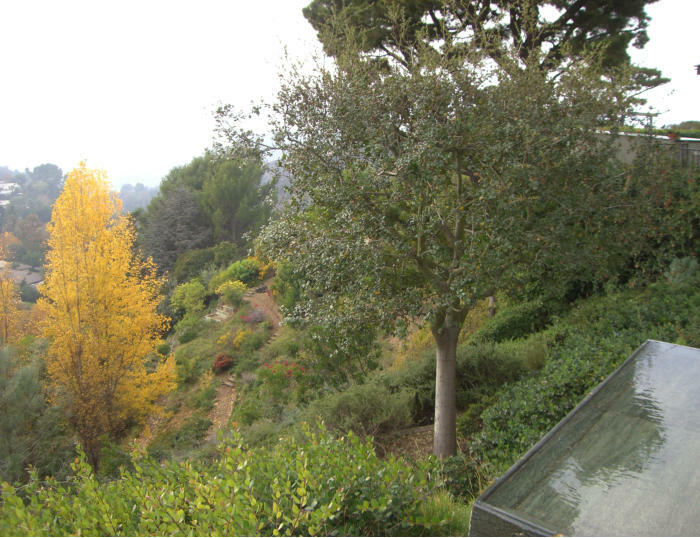 Private residence, Beverly Hills, CA Gardens for an estate on steep, denuded hillsides in Southern California utilizing plant materials suited to the semi-arid climate. Designed and built over a period of 17 years with significant additions to the property incorporated in phases. 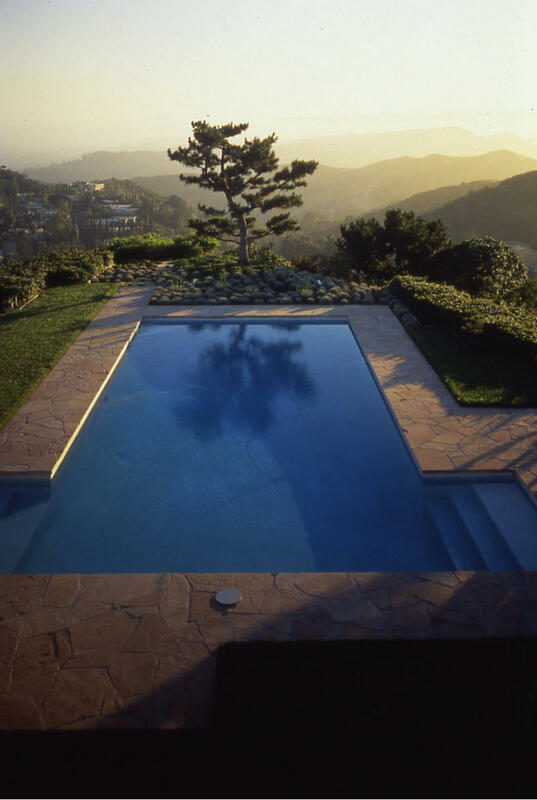 The first stage reshaped the yard surrounding an existing "Case Study House", adapting it to the redesigned structure. The second stage integrated a new structure on newly acquired land and created appropriate places for major art works. 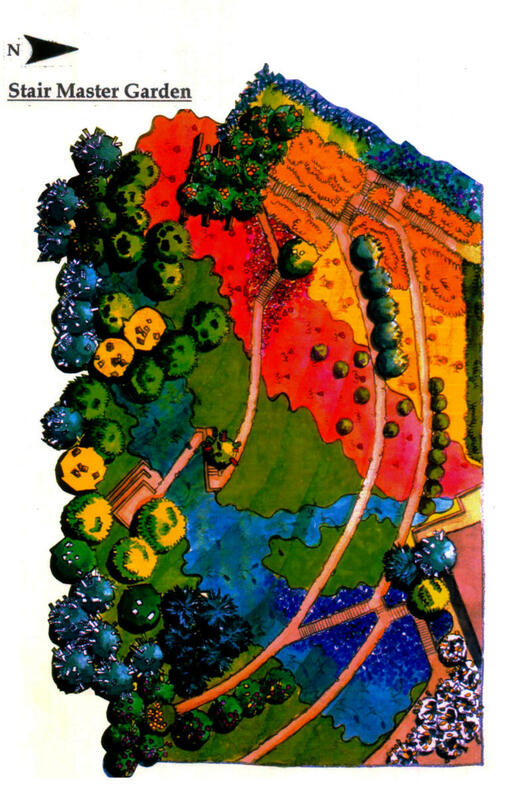 A large number of mature oaks were planted, along with California laurel, native pines and poplar trees, as well as a citrus orchard. 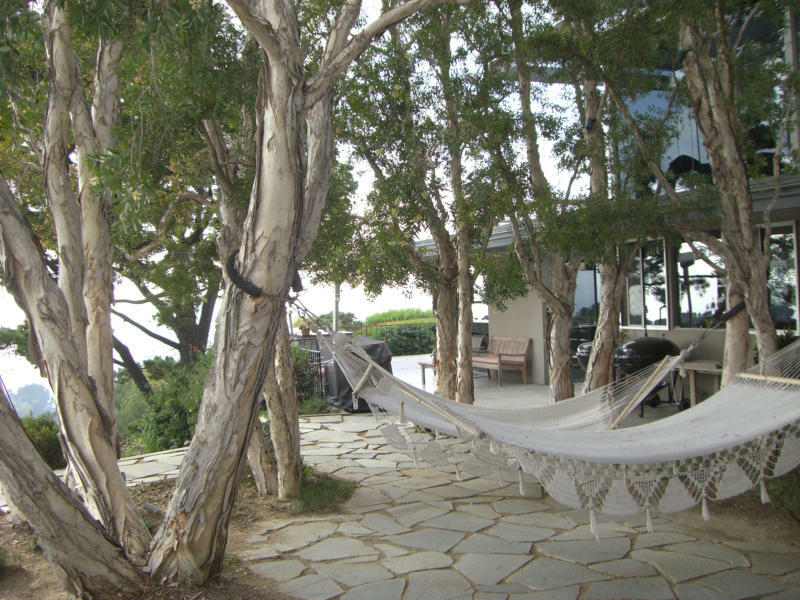 A continuous tri-level walkway creates an outdoor "stair master" exercise path leading to secluded sitting areas. The third stage merged the original garden with a newly constructed residential building, providing a unified entrance and garden. 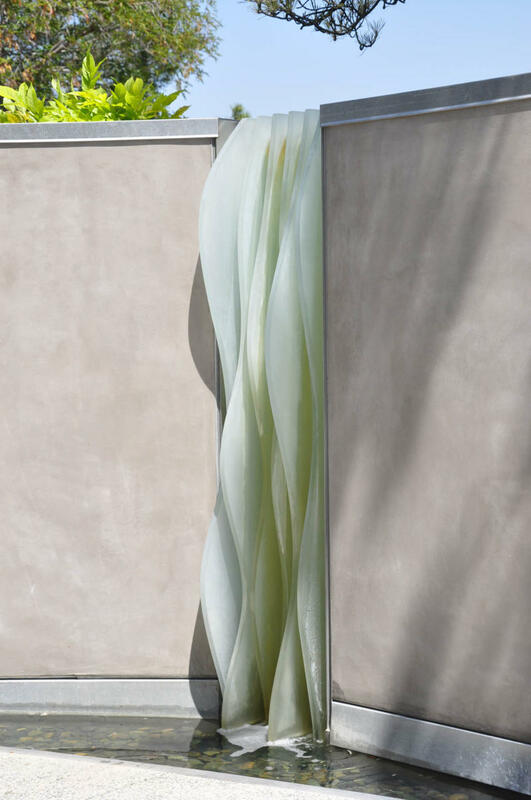 Electrical and irrigation system equipment were concealed, and a glass fountain designed and installed catching the sunlight in an enclosed courtyard. 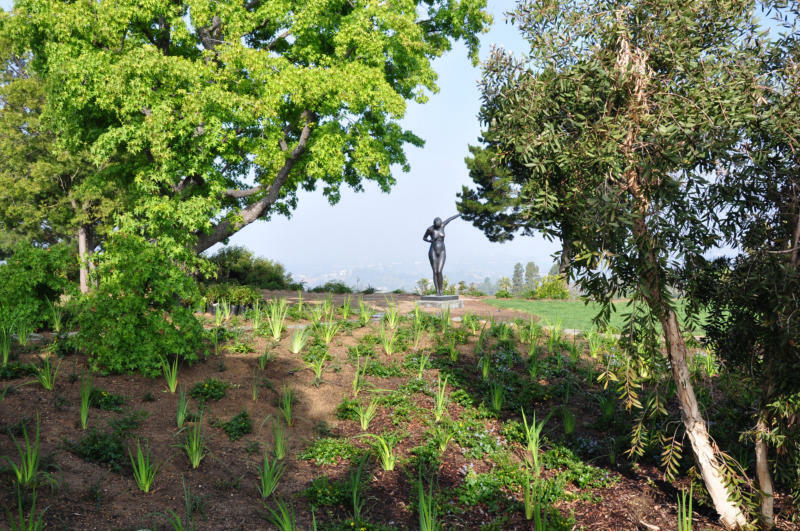 Additional sculpture was located in a focal point between the old and the new gardens using the surrounding landscape as a foil. 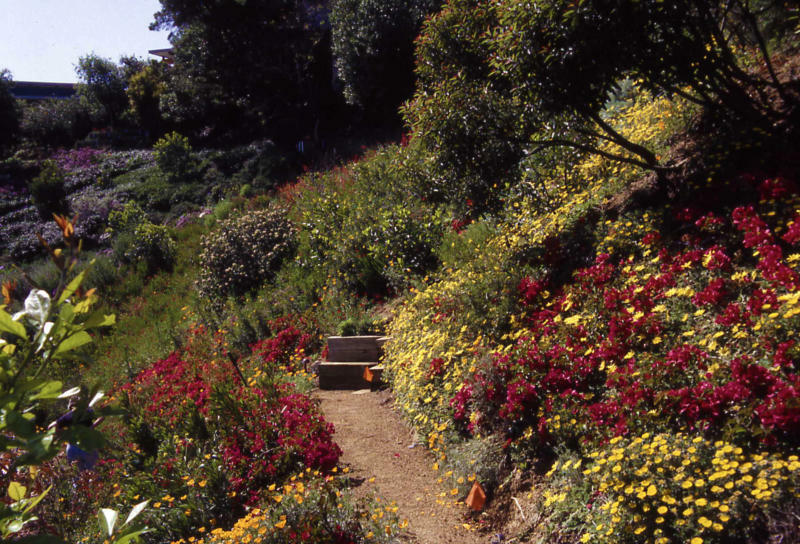 The immediate slopes are planted with native fire resistant plants. The oak and the Manzanita trees planted prior to the completion of the structure will seclude the property from the housing below and direct the vision toward the far horizon. An additional citrus grove was added providing fragrance easy access for the fruits. 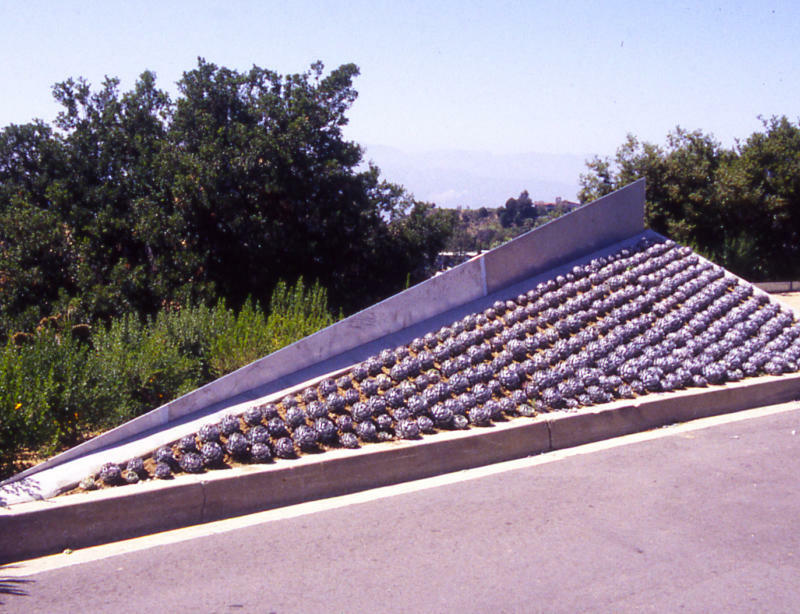 A new rose garden will be added on the upper level next the relocated agave grove at the street level. 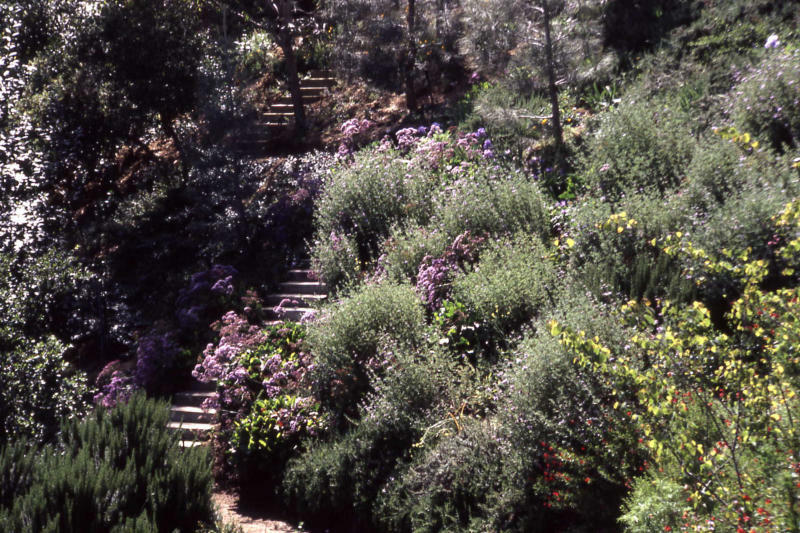 The garden was created as a series of exhibition spots depicting the varied landscape of Southern California.